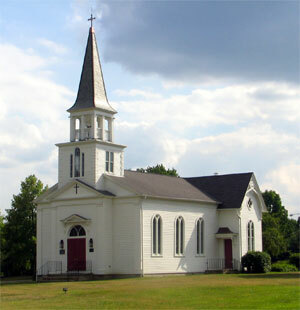 Most people immediately associate a church with a building. We pass them as we drive and their construction is distinct. People talk about “going” to church. But a building is not a church. It can be a place where the church meets from time to time – but it isn’t a church! The Scriptures talk about the church in terms of a community of faith centered on Jesus. Interestingly enough, there is never really mention of buildings in the Bible. Instead, the way the church is described is through two realities – their connection to each other and their mission in the world. The church is a community characterized by grace and togetherness. A place where people help to care for each other and encourage each other in their life and spiritual journey. The church is a gospel community committed to pursuing Jesus and making His message real to those we encounter. Sound compelling doesn’t it? s can help a church achieve her calling, but they are not the church! At Hope, we are committed to this reality of the church. And so while we regularly meet at Lincoln Elementary in Bethlehem on Sundays – that doesn’t define us. Throughout the month of August, we will be using our Sunday morning gatherings in a unique way. We will be gathering at local parks each Sunday at 11am for an abbreviated service followed by a community picnic with plenty of food, games and fun for anyone who is interested in joining us. Click here for locations and directions. Hope to see you there!